One of my first cards. 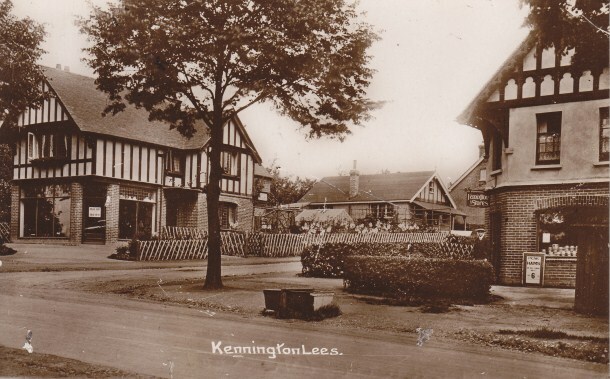 Looking at what is now a Dentist and the Kennington Post Office, formerly The Kennington Stores. Note that a business pnce traded from the building on the opposite corner, now a private residence. Please zoom in and look around, you can read the board outside the store. There is a great story from Alan Bradley, who now lives in New Zealand, on the 'Story' tab - take a look by clicking the tab above. There is a story available for this view. Click the 'Stories' tab below the image.